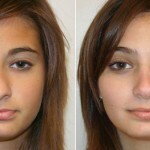 If you suffer from a deviated septum, your doctor would have suggested a septoplasty as a treatment. Septoplasty is officially defined as the surgery to correct any problems related with the nasal septum which is the wall inside the nose which separates the nostrils. The surgery will take about an hour or two to complete. First general anesthesia will be administered. Next the surgeon will make a cut inside the wall, on a particular side of your nose where the deviation exists. Then the mucus membrane which covers the wall will be lifted up. The surgeon will remove the cartilage, bone which is causing the blockage in the nose. Following this, the mucous membrane will be replaced, it will be held in place by splints, stitches and other types of packing material. Allergic reactions may occur, because of the medicine. Different breathing problems may occur. Infections and Bleeding may occur. The nasal blockage may re-develop. Scarring may occur from the surgery. A hole or perforation may occur in the septum wall. 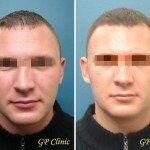 Even after the surgery, the nose surface may seem to be uneven. Discoloration of the skin may occur. Fluid may build up again on the nose.